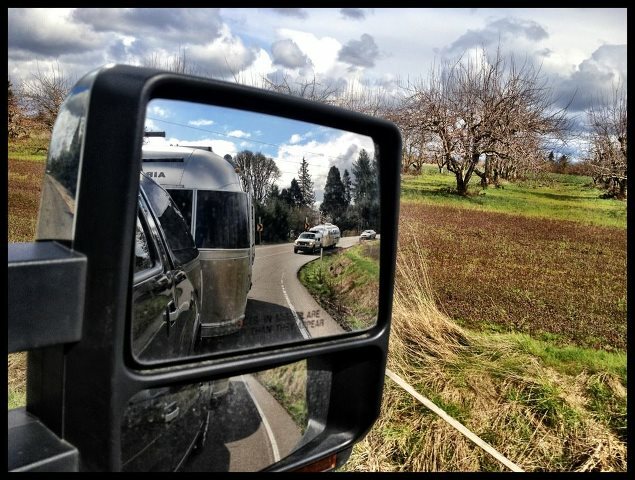 We left Silver Spur RV Park (after a very successful and fun first rally of the season) and headed to Seven Brides Brewing with our friends in their Airstream behind us. A mini caravan (of about two miles). A "pairavan"? It was fun, and gave us a tiny taste of longer road trips to come. Kevin had fish tacos (delicious) and I had a root salad with chicken…roasted beets, squash, etc. So good! !